Saif al Sharji is an Infrastructure Project Manager with responsibilities in planning, directing, coordinating, and monitoring activities of all project teams involved in the analysis, design, development, and implementation of OMREN (Oman Research & Education Network) Project at the Research Council of Sultanate of Oman. 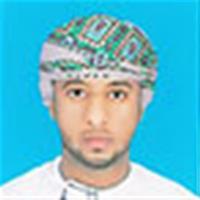 Saif graduated from Sultan Qaboos University with a Bachelor of Science having majored in Computer Science and receiving a minor degree in Business Administration. Serving as the Youth Peer focal point at the UNFPA GCC Area office, Saif is responsible for the organization and execution of youth projects, facilitation of peer educator training courses for the youth, as well as assisting in regional workshops and training.